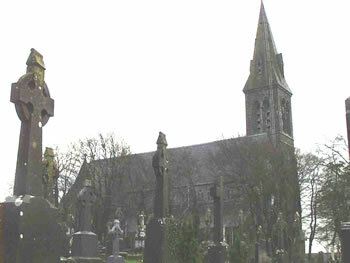 There is a large graveyard beside the church in Rathkeale. The oldest headstone that we came across dated from 1877. This headstone is dedicated to Fr James O'Shea who was a former parish priest of Rathkeale from 1864 until his death. The headstone is written in Latin and the date is written in roman numerals. 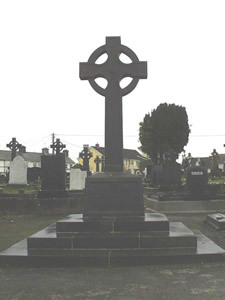 In the centre of the graveyard in Rathkeale there is a large cross. This Jubilee cross commemorates the mission that was given by the Passionist father in October 1875. The inscription on the cross also mentions the fact that it was the 30th year of the reign of Pope Pius IX. There were two others headstones of interest that we came across in Rathkeale. One headstone recalls the short life of Sean Finn, Brigadier Commandant who was killed at Ballyhahill on the 30th of March 1921 at the age of 22. There is a headstone that shows the resting-place of the late Dean Costello, who was parish priest in Rathkeale from 1964 until his death in 1989. On the road to Cappagh, there is a new graveyard that has been opened in the last few years. It is noted for the elaborate headstones erected by the travelling community. 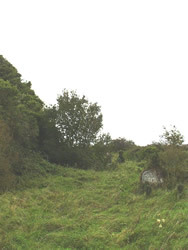 There was also a graveyard in Kilcolman still in use in 1840. 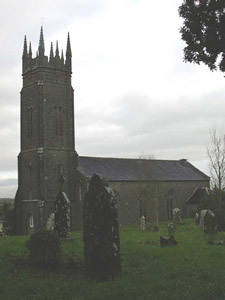 Westropp mentions a burial place in the townland of Bealduvroga. Both Catholics and Protestants are buried in the graveyard of the Anglican Church. The oldest Catholic headstone that we found was dated from 1759 and was erected by John Clancy in memory of his father Richard Clancy, who died aged 40 on the 4th of August of that year. There is a graveyard around the church in Rathnasser. The graveyard, like the church, is in a state of disrepair and is overgrown. 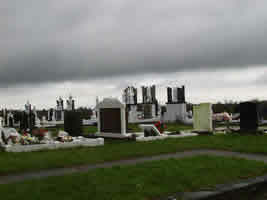 However, there are still a number of headstones standing in the graveyard. The oldest headstone that we could read was from 1825 and it was to the memory of Joseph Ginnan who died on September 18 of that year aged 20.